Last evening round up all connections and perform initial test at the input SWR. At firs, the SWR is quite high with 1:3 , modified the coil to 4 turn 13 mm dia. with good result at 1:1.2. After that, connect plate voltage and measured the plate idle current at 80mA, which indicated it is correct. Now the amplifier is ready to go for load test. Logan (VR2XRW) gave me a 10mm ferrite rod for the filament choke, it is in place all together with the input tune, consists of two Arco variable capacitors and 15mm dia. coil. The GI7B tubes are in place. They were supplied with the filament votlage for few hours. It is tapped hole in one end for support. Last evening I have completed the high voltage board as well as placing the high voltage transformer into the chassis. The high volatge PORCELAIN insulator and safety resistor (47 ohm 50W) are also in place. If is quite difficult to get small diameter of copper tubing. It needs to buy at least a roll of several meter of quantity. So I give up this kind of material. Looking around and thinking of using surplus short length of hard line cable, center conductor is 5mm diameter. Wound 4 turn, inner diameter 40mm. Doorknob capacitor is 1000pf 15KV purchased from Mainland China. Yesterday went to Canton road to cut the aluminum sheets for the front panel and partition for the chassis. Six pieces cost of $215. I also locate one winding transformer company and ask for the quote for a 1000VA transformer at a reasonable cost. Size is approx. 6”x6”x6” and delivery time is one week. I told the shop will prepare the specification and order next week. What a surprise that they have transformer oil (for my HN-31 Heathkit dummy load) in stock, which is very rare and difficult to find here. The major component is ready and has tried to place them on the chassis and it looks fine. 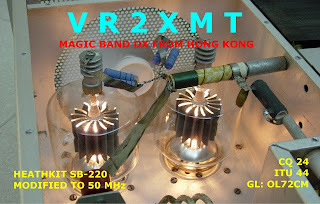 Wyn, VR2AX offer me a pair of old GE 3-500z tubes. 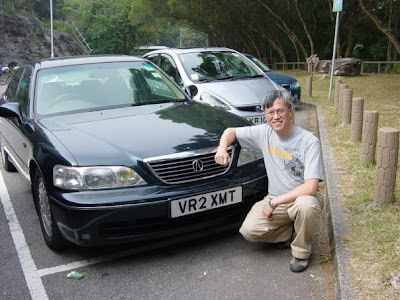 By this occasion, I arranged a dinner gathering together with Steve, VR2XMQ and Martin, VR2/AA1ON. My XYL and Queanne (Martin’s colleague) also with us. We all have a very enjoyable time. Thank you Wyn for this nice gift to me. In the past two years, my entire QSL card was printed by QSL Printer in China. The printing quality was good in the very first beginning, however, those current batch of VR10 cards were really disappointed. Without hesitation, I accepted their offer and sending them my shack photo as the QSL card front and simple text design for the back side. After three weeks, the cards arrived and I am very happy with the printing quality. They well care of my image file and edit with their professional skill. No doubt, my next batch of card printing will go to them for sure. 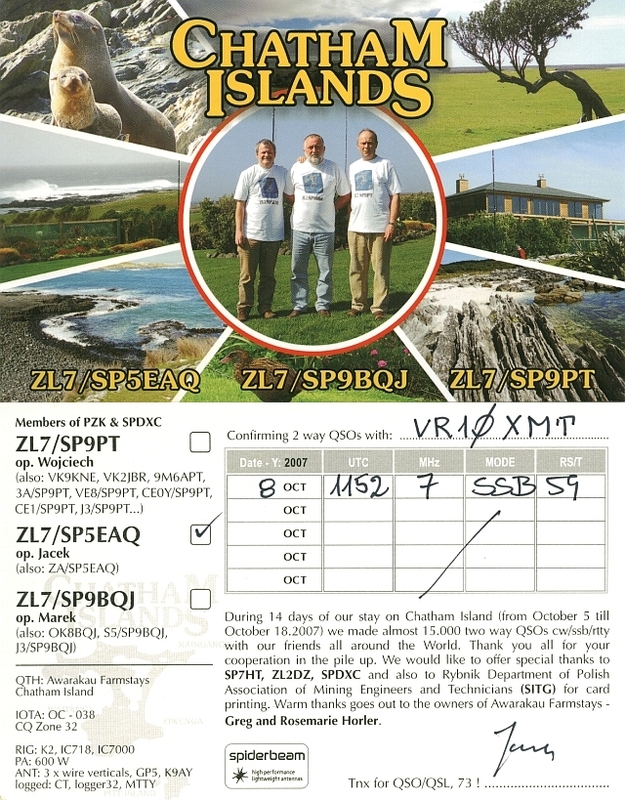 Received very nice QSL card from 9U0A and 5U5U. 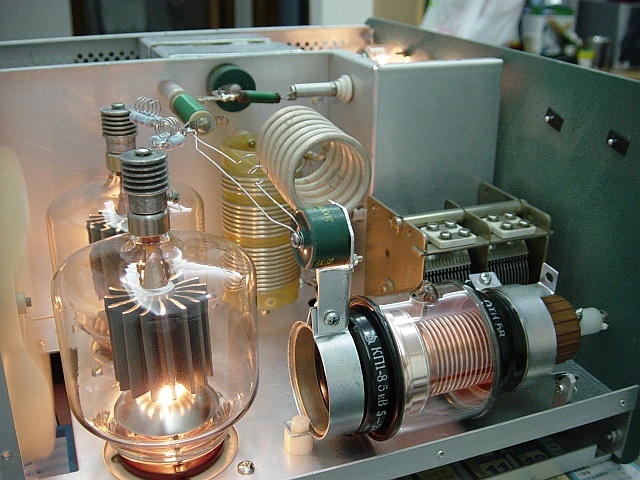 It was completed and the high voltage much more stable now. I have problem with the tune cap arcing in the SB-220 and caused some damage to the components. Recently I purchased one 5-250 pF vacuum variable from ebay and installed it for a trial. 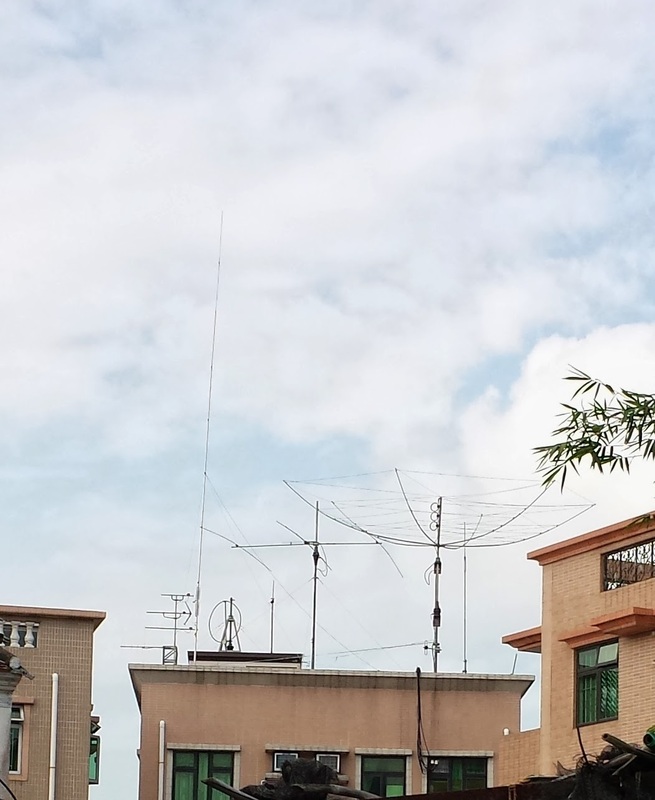 It works very good from 15M to 80M, but look like it is not working well on 10M. This problem need to be sort out when have free time. On 27 Oct, my birthday, gave me a good memory. I ran through an auction via the Transport Dept Private Vechicle Rigistration Mark Scheme that have my radio amateur radio callsign as the mark. It is on my car now. 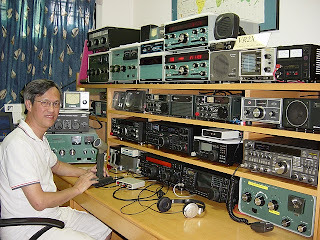 A new photo was taken on 10 Oct at my radio shack. you can see the new radio FT-2000 sitting in the middle.... cool !! Today I completed the design of my six meter QSL card. It use the 3-500z as background.